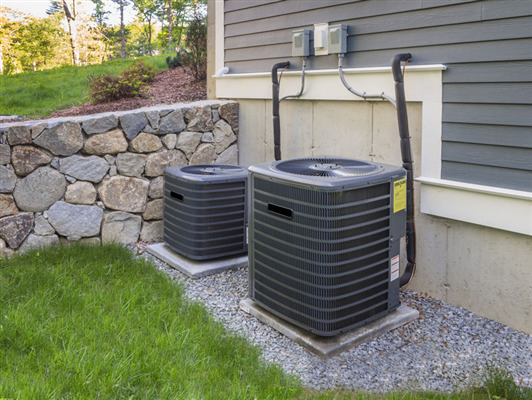 Keeping your HVAC system clean and fresh is a key component when it comes to preserving air quality in your home. With regular duct cleaning and HVAC maintenance, you know that your home’s duct system is circulating clean, fresh air free of contaminants and allergens. This also keeps your HVAC system working at its top performance level so that you do not need to worry about unexpected problems. Proper maintenance can keep your system functioning whenever you need it, but the cost can add up quickly. Our duct cleaning experts at Dust Doctors in St. Paul will help save you money by keeping your HVAC system clean and maintained year-round with our Comfort Keeper Maintenance Plan. By protecting your home from HVAC problems, our annual plan works to save you money. At only 13 dollars a month, our annual plan is extremely affordable. Our Comfort Keeper plan provides year-round preventative maintenance plan focused on keeping your HVAC system running reliably without the need for major repairs. With regular maintenance, your heating and cooling system will continue to work efficiently when you need it. By caring for your HVAC system and preventing any serious problems, this will help to extend its lifespan. With an investment of only a few dollars a month, our annual maintenance plan pays off big when it comes to energy savings. The efficiency of your system is directly connected to minor problems with the system. Normally, small issues might go overlooked until they end up turning into a big problem. However, with our plan, you will get regular reminders when it’s time for your next tune-up. Our heating and air experts can identify repairs before they become serious. If the need for a repair should arise, Comfort Keeper members get a 15% discount on all AC and heating system repairs. At Dust Doctors in Minnesota, we understand what it takes to keep your HVAC working at its best performance level. That’s why we offer the Comfort Keeper maintenance plan. If you’re ready to prioritize the air quality and comfort levels of your home, our HVAC experts can help. By preventing problems with your duct and HVAC system, we can help you save money in the long run. With our annual plan, your family can breathe easy. To sign up for our Comfort Keeper plan, give us a call at 651-319-9777, or contact us to learn more.